It’s Monday the day of the week we all dread! When that alarms goes off, I expect most of us shudder thinking about the week ahead and wish we could press snooze for that extra 10 minutes. Today I’ve had a really bad Monday as my child is sick. When my alarm went off this morning I knew I had to get up early to make a head start on the day, as I had a feeling our little girl was ill after showing some signs yesterday. I expect it is teething, but she’s running a slight temperature, not really eating, and also being sick. She’s also managed to soak about 10 bibs so far today, and is enjoying chewing her Gertie the Goose……loads. I’m being selfish and starting to think that it is actually worse for me. I work from home on a Monday. 7 out of 8 Monday’s so far have been absolutely fine with her happily playing and sleeping. Today is a different story altogether! Screaming, far too much screaming. All of my attempts have lasted a few minutes, until the screaming starts again and the hands are back in the mouth. This afternoon I’ve had a balancing act of juggling emails, calls, and documents with said screaming child. Some tasks are easier than others to do with an ill baby. The feeling of not being able to do something properly or devote enough time to it is terrible. However I am in no way a bad Mummy for choosing to go back to work. It came to a point this afternoon where she needed me to pick her up and give her a cuddle, and make the teething pain go away. That’s when I feel guilty about working at home, but this is the first time since going back to work that I’ve felt that way. Had she been well today the day would be going smoothly. Having said all this she is now fast asleep cuddling her bunny. I hope it lasts. It’s tricky being a working Mum, trying to find the right balance between parenting and working. Whatever you prioritise you always feel that you’re neglecting the other. But when your child really needs you, you know what needs to be prioritised. Once she goes to bed tonight, I’ll be back at the laptop catching up. I hope that she is ok to go to nursery tomorrow, but if she’s not we live in a world with Internet and smartphones and I don’t need to be in the office to get work done. Thank god, there is gin and chocolate at the end of the day. Have you ever been in this situation, what have have you done when your child is sick. I would love to hear from you. I decided not to go back to my job after my year mat leave finished. Instead I’ve turned self employed with my passion photography and taking on sponsored posts with blogging. I struggle balancing life, looking after Edith and spending time with my husband. It’s crazy how much work I have to do but it’s all worth it! Forever feeling the mum guilt! There have been plenty of times where one of my children has been ill and I have to take time off work to look after them. Now I work evenings so it doesn’t affect my day too much if they are poorly. I used to work from home when my youngest was small, which sounds like a great solution but I found it was actually harder because he’d want my attention and couldn’t really understand why I wasn’t giving it when I was there with him. Luckily, if he wasn’t well, I had the option to turn work down. Fingers crossed your little one will be better soon and you can get back to normal. I just feel so awful when my little lady is ill, she gets ill everything she sees her cousin! I just feel so guilty. Calpol is our savour. 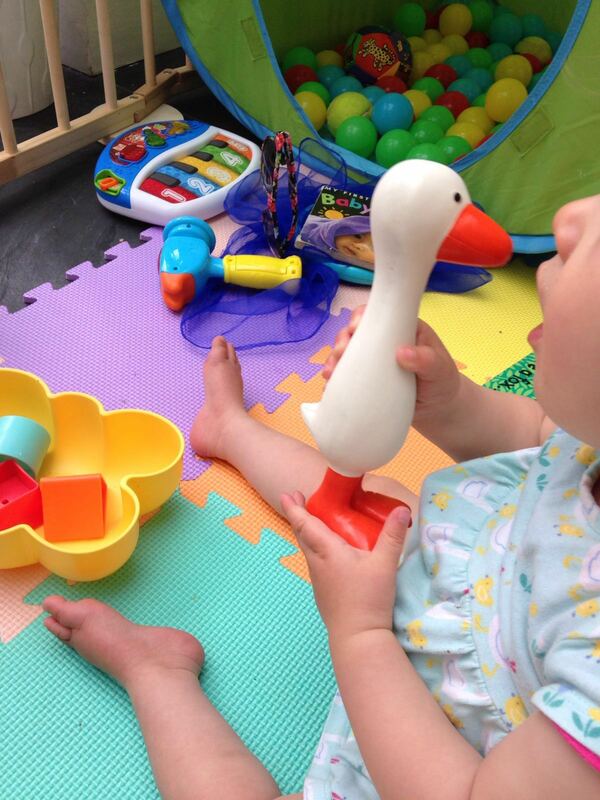 But for teething we used Nurofen, Biccy Peg and Sophie The Giraffe!!!! ljdove23 recently posted…Surviving the six week holidays…. Squirmy Popple recently posted…How to I handle my fearless child? Hey you got it right, you need to prioritise and the kid comes first. Send that guilt packing and just remember you are an awesome mum! Im due back at work next month and i am dreading it now i have 2 kids. I was due to go to London for a meeting when my eldest got Chicken Pox so i had to cancel as i couldnt leave him. Kid first work second. Singing. Lots of singing. And Teletubbies. Grounded Mummy recently posted…Mombie is mad! I now work from home and I know how hard that can be too. That’s the joy of being a mum, being pulled in all directions! Siena Says recently posted…From The Heart: Suicide Is Painless? Back again from #fortheloveofBLOG Hope little one is better now! Busy Working Mummy recently posted…Is it safe to leave children in the car when you are paying for petrol?